I am an athlete, although not in a common sport. I have been a competitive jump roper for the past 9 years of my life. This sport has provided me with everything: a family, a passion, travel, exercise, and most importantly leadership. As I’ve grown up with the sport, I have been blessed with countless leadership opportunities. From running weekly practices and workouts, to representing my jump rope team on local broadcasts and interviews, to traveling across the world to teach the sport to children and jumpers of foreign cultures, I have learned how to lead and inspire others in this unique sport. 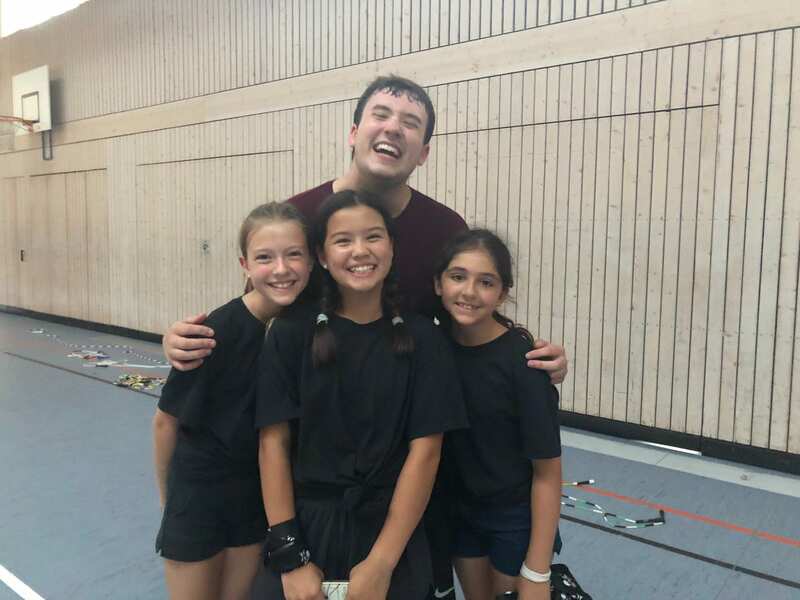 One of my most prized memories from jump rope was this past summer; I was invited to travel to Germany and the Czech Republic to teach in two jump rope camps. While in Germany, I was a level leader, meaning I was in charge of a large group of jumpers (90 to be exact) that had similar levels of skill in the sport and could all benefit from learning similar tricks and routines. Being a level leader, I was in charge of leading not only the mass group of children, but also the fellow staff members that taught the kids. This job required frequent meetings with my staff and constant planning in how to divvy up the jumpers. I also worked with German-speaking staff members in translating my messages to the children whose English skills were just as strong as my German. This experience, although intimidating at first, was extremely helpful in my confidence in leading others. 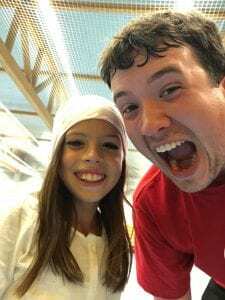 Despite extreme language and cultural barriers, I was able to lead all of my staff and campers to my greatest ability, providing a fun learning environment with lots of jumping. While at the international camp in Prague, Czech Republic, my role changed significantly. Instead of being a level leader, I was head staff, which put me in charge of the entire camp with participants ranging from Russia to Czech Republic to Germany to Finland to Hungary. 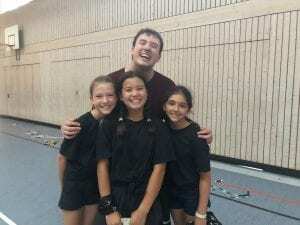 With many cultures and languages coming together under one gym roof, I felt my nerves fill my body as the camp started. However, I channeled my anxiety, put on a smile, and led the 4 day camp with the confidence and leadership skills I grasped in Germany. As the camp continued, my leadership abilities soared, filling me with excitement and passion to lead my fellow staffers and campers to their greatest abilities. Both of these experiences have been extremely beneficial in helping me find a sense of assurance in myself as I’ve entered college. I now am eager to lead others in Student Orgs like I led overseas. I am excited to find more passions like jump rope to channel my excitement into as I transition into adulthood and a professional life. My opportunites overseas have also increased my passion in wanting to become a Foreign Language Educator, as I am eager to learn as many languages as I can in my life, along with educating myself on all the cultures across the globe. Because of jump rope, and the amazing experiences that are apart of it, I have grown as an athlete, as a student, as a leader, as a human, and I am so deeply grateful for it. As an ACE Scholar, I am currently taking a 1-credit hour seminar course that educates me and fellow ACES on the group’s values and mission as an organization. An important project we completed in this course was the ACES Pillars Film Project, where groups of 3-4 students were tasked to watch a movie/documentary and connect the ACES pillars- Positive Social Change, Advocacy, Community, and Service- to the context of the film. Students were also asked to provide a summary of the film, provide critiques, a target audience and a call to action from the flim, and explain how they connected to the film and how it connects to present day. 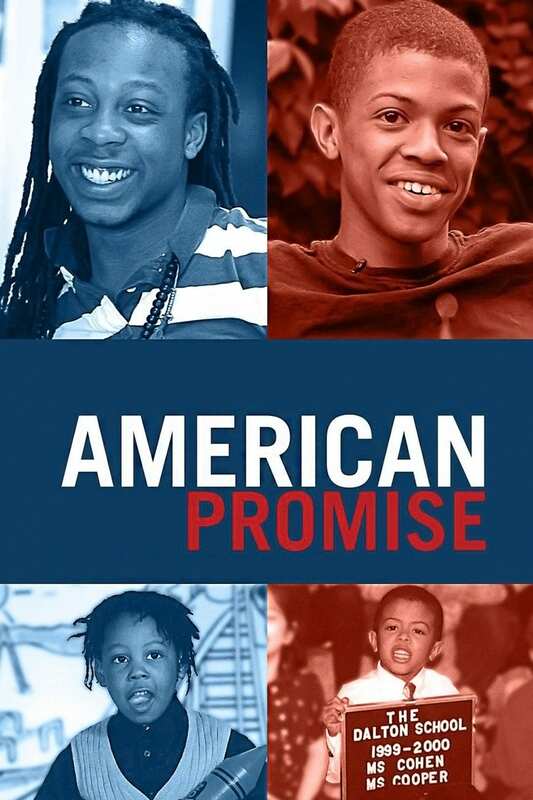 My groupmates and I decided to watch the documentary, American Promise, a documentary that follows two African American boys through their academic and personal life journeys over a 14 year period. The two main characters, Idris and Seun, both attend a prestigious, predominantly white private school as children, and the film documents how both boys feel throughout their education experience from the age of 5 until the boys venture into college. This documentary- although started almost 20 years ago- is still extremely powerful and relevant in today’s society. Both Idris and Seun face extreme prejudice in their school, Dalton School in Brooklyn, New York, as both boys are extreme minorities in a sea of white children. In result, both children are treated differenlty by teachers, fellow students, and faculty due to their race in multiple ways, ultimately leading to one of the boys, Seun, to transfer schools as he enters high school. While debriefing on the movie and assembling our presentation, my groupmates and I all agreed that this film exposed us to struggles and hardships African Americans in our nation have faced and still face. We noticed a lack of positive social change in this film, and were able to connect that to current day issues with movements like the Black Lives Matter movement, fighting against prejudice in the U.S. and equality for all, despite race, ethnicity, gender, etc. We also noticed a strong sense of advocacy from the families of the children as they fought for their kids’ rights in the education realm and the real world, which also connects to current movements in the U.S. that are fighting these persistent inequality epidemics. This project inspired us to encourage our fellow ACES to watch this movie and spread its message of looking past race and discrimination. 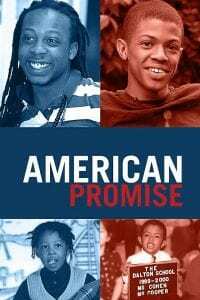 We felt it was an excellent film for future educators and American society to watch as it exposes us to the common misconceptions many of us make against not only African Americans, but all other minorities as well, intentional or not. This film taught me the importance of respect for all people and to create a welcoming sense of community for all children in the classroom and people in everyday life. I will take these lessons from this movie and utilize them as I become an educator in order to ensure that all of my students- regardless of their differences- feel equal. 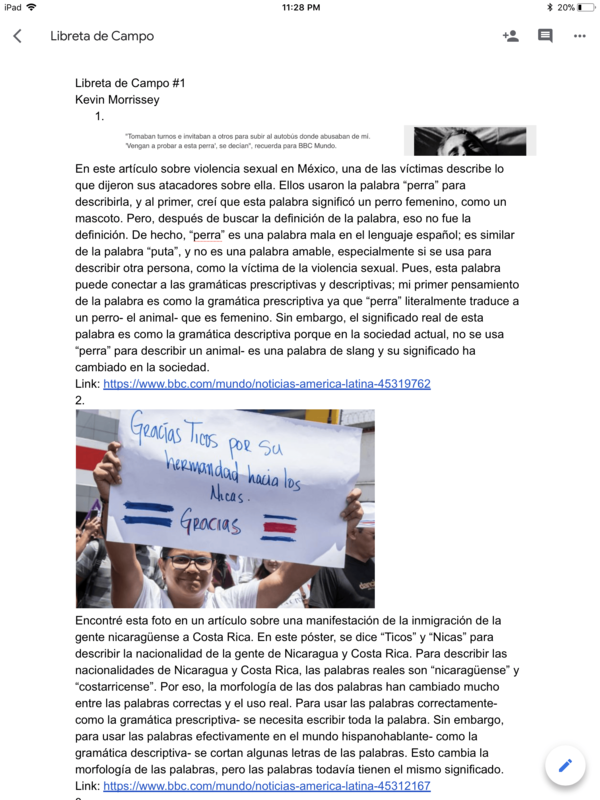 Recently for my Intermediate Spanish Composition course, I interviewed a native Spanish speaker for an article project in class. I interview Ivonne Ortiz, a native Puerto Rican that has lived in both Puerto Rico and the United States throughout her life. When I met with Ivonne, we talked for over 30 minutes about her life in the States versus her childhood life in Puerto Rico, and I took away so much from this experience. Ivonne proudly described her native culture, emphasizing the importance of family and community in everyday life on the island. She raved about the delicious food, the wonderful music, and the beautiful beaches that blend together to create such a bright culture. According to Ivonne, this tight-knit, community-oriented culture is something found in all of Latin America, ranging from the Argentinians in South America to the Mexicans just south of us. In her eyes, these qualities that span across majority of the Western Hemisphere make all of Latin America its own tight-knit, loving community- no matter one’s nationality or ethnicity. However, according to Ivonne, in the United States, this tight-knit, loving society is not present. She told me of incidents while living in the States where people would judge, criticize, or belittle her because of her heritage. Although difficult, Ivonne has learned from these experiences and has come to respect that everyone is different. When asked if she would rather continue living in Puerto Rico or the U.S., Ivonne told me she would rather return to Puerto Rico for her strong love for her entire island family. This experience helped me grow in my own understanding of Latino culture and how it’s specialized in Puerto Rico. I now know the importance of family in Latino families and the immense love and pride each and every Latino has in their heart for their native country and culture. Being a Foreign Language Education major, this experience will help me in my future in teaching my future students about not only the Spanish language, but the cultural aspect as well. I will also work to emphasize with my students the importance of acceptance, as each and every individual- despite their race, ethnicity, gender, etc.- should not be discriminated against, but instead praised and appreciated, like those in Puerto Rico and Latin American culture. In my Advanced Spanish Grammar class this semester, we’ve had an ongoing assignment throughout the semester called “Libretas de Campo” or Field Notebooks. With these “Libretas”, students are tasked in finding examples of Spanish being used in the real world around them through advertisements, articles, social media, and more. These examples have to tie to the grammatical concepts we are discussing in class. Attached is a portion of my first every Field Notebook I completed in this course, where we had to find several examples of Spanish being used in terms of Morphology in Spanish vocabulary and “Spanglish”. I found numerous examples of interesting uses of Spanish in the real world through newspapers, photos, Twitter and Facebook. These assignments have been EXTREMELY helpful with my Spanish comprehension and knowledge. It has opened my eyes to how natives utilize their beloved lanaguge in new ways I never learned in the classroom the past 7 years. Every single Spanish-speaking nation- from Colombia to Honduras to Spain- all have their own form of the language with unique words, phrases, and conjugations, and my exposure to numerous different paths of the language will enhance my ability to communicate and utilize Spanish with natives across the globe. My “Libretas” have also changed my perception on Spanish grammar and syntax, as many natives have found new ways to communicate- sometimes without using “correct” grammar to do so. These experiences now make me more confident in my Spanish-speaking skills, as not only now do I know some tips and tricks for certain words and phrases in the Spanish-speaking world, but also I now know I don’t need to have perfect, flawless grammar in Spanish in order to use the language fluently and effectively, allowing me to be okay with making mistakes as I speak. It’s a learning process, and my “Libretas de Campo” have surely shown me that. Hello! 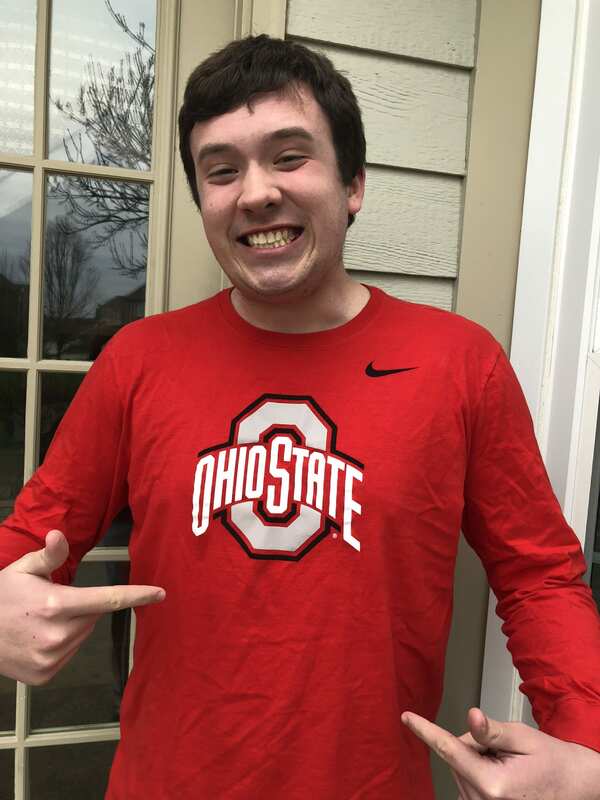 My name is Kevin Morrissey, and I am a current first year at The Ohio State University! I am from Mason, Ohio, which is just north of Cincinnati. I am currently studying Foreign Language Education with a specialization in Spanish in hopes of becoming a high school Spanish teacher! My mother is also a Spanish teacher and taught me bits of the language as a child, and I would love to follow in her footsteps in becoming an educator just like her! 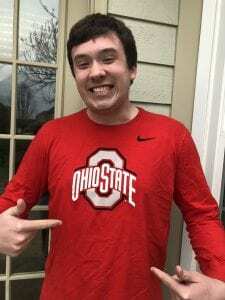 Here at OSU I am in the Advocates for Community and Education Scholars (ACES) Program, and I am also involved in several other school organizations, including The Ohio State Jump Rope Club, Cru, and I was just accepted into the Student Alumni Council! With my free times, I enjoy jumping rope, reading, hanging out with my friends, and exploring campus and Columbus! I am very blessed and honored to be a student at this incredible university and plan to continue loving every moment I have on campus! Go Bucks!